(CBS/AP) TOKYO - Japan reacted to the news that Ichiro Suzuki has been traded to the New York Yankees with surprise and anticipation that the move might lead to a World Series ring. The Yankees acquired the star outfielder from Seattle in a trade for two young pitchers, bringing a close to Suzuki's 11 1/2-year career with the Mariners. Suzuki is the most recognizable athlete in Japan, where is revered for his stoicism, perseverance and attention to detail. All the major Japanese newspapers splashed the move on the front pages of their Tuesday evening editions, with photos of Suzuki in his Yankees uniform, and it was the top item on the noon news for public broadcaster NHK. "He's the top Japanese athlete in the world, both in terms of fame and skill," said Takuya Matsuo, a 26-year-old from Yokohama. "The Yankees have a strong image, so this increases the chances he'll win a World Series. He is getting older, so he probably wanted to see if he could experience being a champion. It'll be fun to watch a fellow Japanese give it his best." Suzuki, 38, went from the last-place team in the AL West to the first-place team in the AL East. 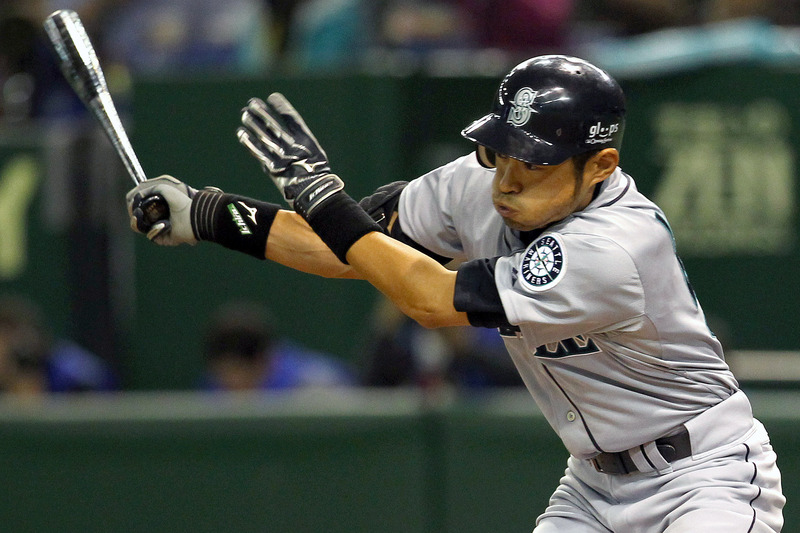 After a stellar career in Japan, he was the AL MVP and rookie of the year in 2001 as the Mariners reached the AL championship series before losing to the Yankees. Seattle has not been back to the playoffs since. "Now that the Yankees have him, they'll probably get to the World Series," said 22-year-old security guard Shohei Abe. Japanese evening TV shows dissected his at-bats in his first game Monday, when he got a hit in his first outing against his old team and then stole second base, his 16th of the season. Suzuki went 1 for 4 in his Yankees debut and caught the final out in New York's 4-1 victory over Seattle on Monday at Safeco Field. His father, Nobuyuki Suzuki said it felt the same as when his son joined the pros at age 18. "More than being happy, my feeling is just go for it," he told Japanese TV networks. "Whatever team you're on, baseball is the same." Japanese home run king Sadaharu Oh said the move took him by surprise. "However, this is something he wanted and I look forward to seeing him play for the Yankees," Oh said. Masanori Murakami, the first Japanese player in the major leagues, said he thinks the move will be good for Suzuki. "There are a lot of great players on the Yankees and he should fit right in," Murakami said. "The Mariners had a lot of young players and are not contenders, so it wasn't easy for Ichiro there." CBSSports.com's Jon Heyman says Suzuki "may be energized going to baseball's most watched, most star-studded team." "Something had to change, and the Mariners sent him to the locale that was the diametric opposite of Seattle," Heyman writes. "Who knows, maybe Ichiro lights up New York."